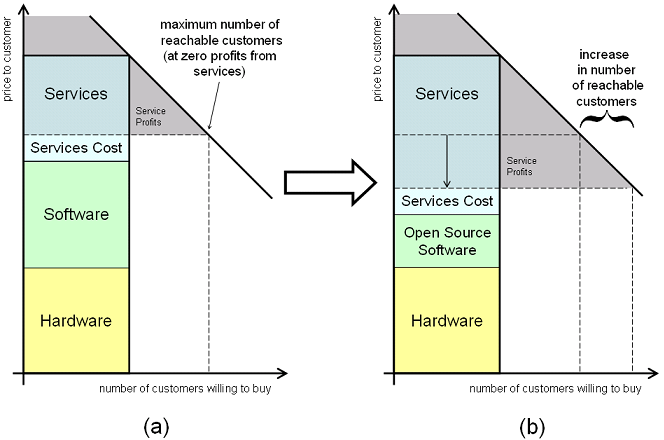 Home » Software Development » Why Open Source Software? I decided to look at something everyone thinks we know well, Open Source Software (OSS) and see what I discover. The child in me said; “Do it”. No. This is not a high energy physics paper. 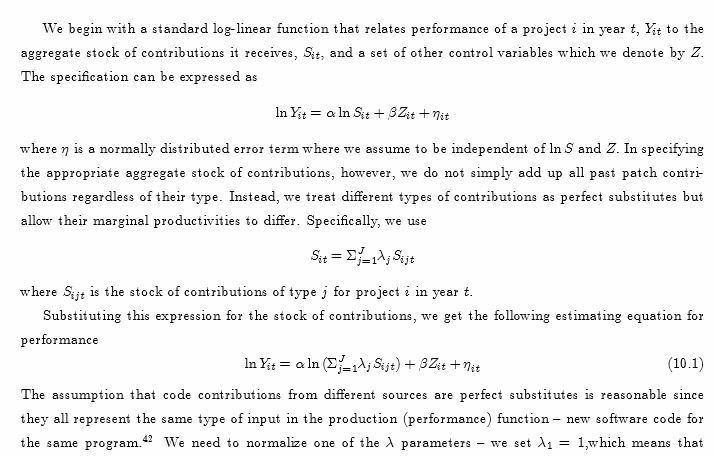 This is a study on OSS performance. He looks like a priest , an atheist priest who wants to impeach God. He never married, and apparently lives only by breathing, as his job at MIT has no salary. He says: I do free software. Open source is a different movement. [OSS] “increases profits through cost savings and reach more customers due to flexible pricing. This has upset existing ecosystems and shuffled structural relationships, resulting in the emergence of firms providing consulting services to open source projects. Every developer wants to move into center, where the power and visibility and potential employment are maximized. LPP says learners experience learning not as a result of being taught, but through direct engagement in the social, cultural, and technical practice of the community. 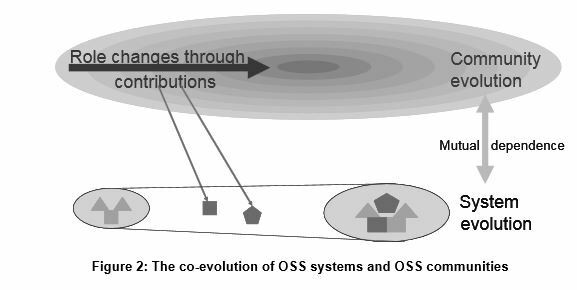 The conclusion of Ye and Kishida study: OSS is a very complicated phenomenon that is related to technology, human behaviors, economics, culture, and society. This is obvious. 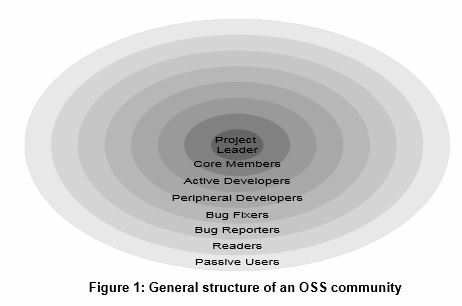 For many years , OSS communities have written software meant to please each other in the community. Developers wrote to impress other developers. There was NO concern of who was going to use the software, outside from the people in the group, their girl friends, their wives and their friends. Most Free Software projects fail . The reasons we read on advocado.org are lack of coding skills, project management skills, in essence technical skills. No. The true reason is this: No one so far in a true, blue-blood hardline open source project considers UX, aka User Experience. 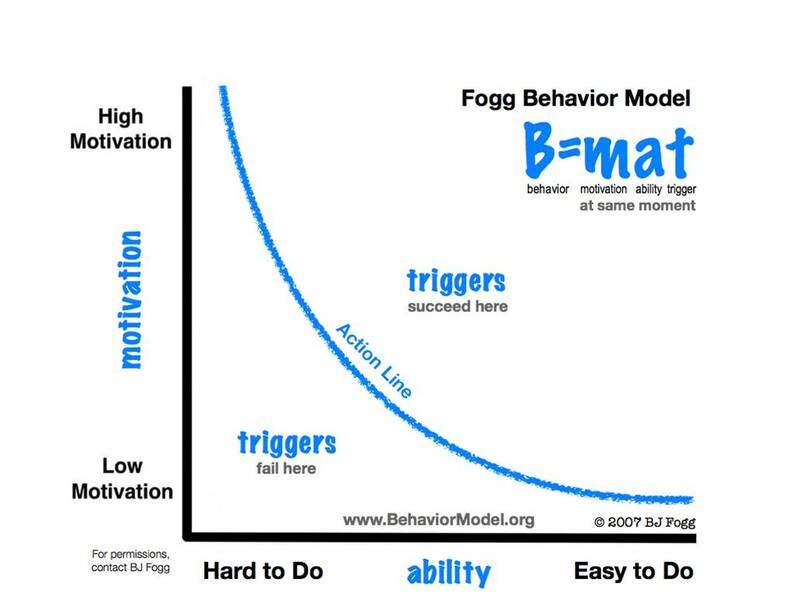 The UX is not Usability, which is a bunch of metrics for making navigation of an UI easy. UX is how users feel about the software being produced. When someone says: “I hate Windows”, or “I love Mac” or “I don’t want command line” this is user experience. In all those OSS motivational scholarly papers, no one ever mentions an UX contributor being motivated to participate. Nada. Zero. Zilch. An open source software must be wanted by outside users to survive and thrive. Open Source Software is beneficial. Not only it can make money, it helps candidates to Nobel prize, to actually win a Nobel Prize. Al Gore sits in Apple board, something Richard Stallman never managed to do. Maybe Richard by did not want it, although at the age 60 people mellow a bit. But most of us, we do want to do goodness. There is no way to accomplish our mission and keping the freedom, if we starve to death, if we don’t have children, if we don’t get funding for our projects and if no one uses what we invented and created ex-nihilo. Life is short. Just stop what you do now, and meditate for a minute. You see? Life is very short. Reference: Why Open Source Software? from our JCG partner Miha Ahronovitz at the The memories of a Product Manager blog.